I don’t know about you, but I love a good sandwich, especially when the sandwich is the sweet kind, and involves Nutella! As in, the Nutella Sandwich Cookies I made a few months back. 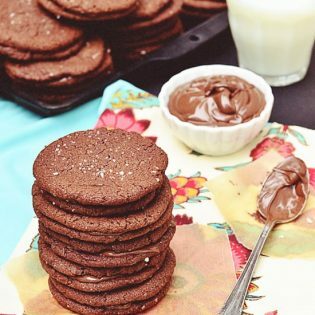 Take two dark chocolate crispy oat cookies and smear a little Nutella between the two, with a dusting of sea salt and you’ve got yourself one heck of a good sandwich. Am I right? These cookies are the perfect balance of chocolate and Nutella all wrapped up in a chewy cookie. It’s impossible to just have one. I will warn you – I’m not responsible for increased pants size if you are watching calories nor can I be held accountable for feeding a Nutella obsession. But do as I say, make a batch – I promise you won’t regret it! Oh, I suppose you’d like the recipe, right? 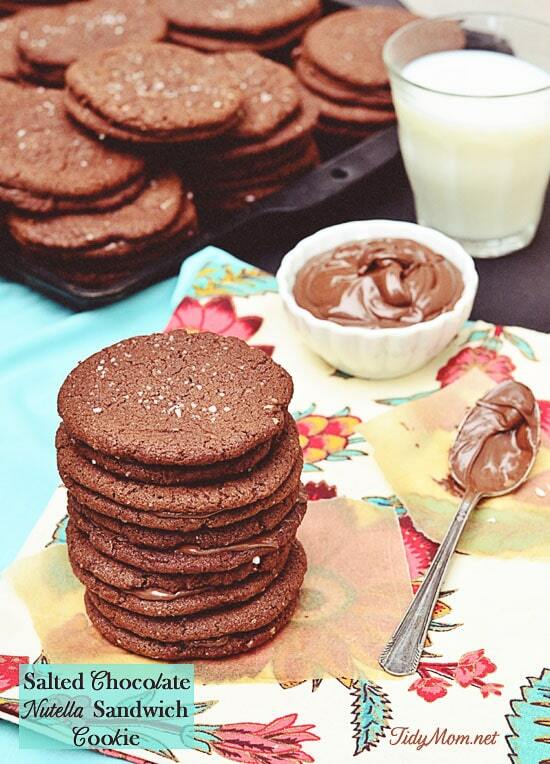 These Nutella Sandwich Cookies are super simple to make and even better to eat. Nutella fans are going to love them and don’t worry about being “too sweet”, a nice little sprinkle of salt on top balances out the flavors beautifully. Recipe courtesy of Ritz-Carlton, St. Louis is the perfect balance of chocolate and Nutella all wrapped up in a chewy cookie. Heat oven to 375°F. Line baking sheets with Silpat or parchment paper. Whisk together flour, cocoa powder, oats, baking soda and baking powder. Set aside. Cream together butter, Nutella and sugar until light and fluffy. Mix in egg. Slowly add in flour mixture until evenly incorporated. Roll dough into tablespoon-sized balls. Flatten balls with the bottom of a glass, about 2 ¼-inches in diameter. Sprinkle with sea salt. Bake 12 up on a sheet leaving 1-inch space between each cookie. Bake for 8 minutes. Cool for 1 minute on baking sheet and carefully transfer to a cooling rack. Allow cookies to cool completely. 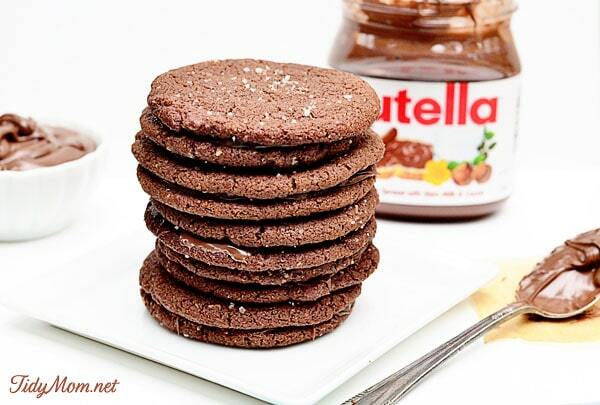 Spread Nutella between two cookies to make a sandwich. Cookies can be stored for up to 5 days in an airtight container. 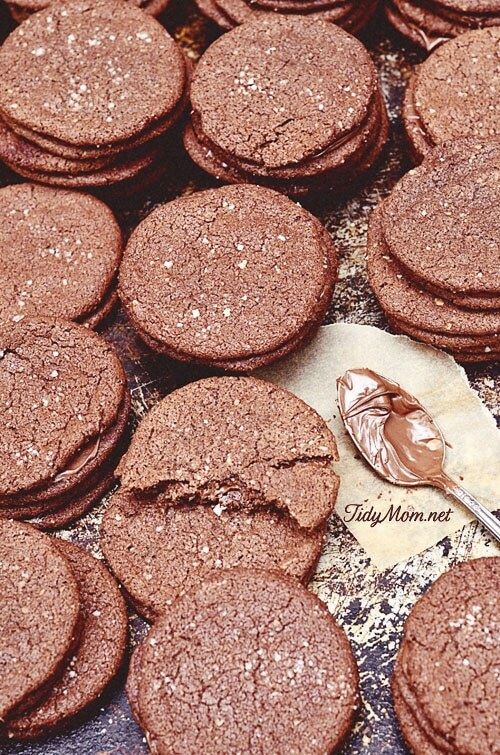 I’d love to hear about your favorite Nutella recipe in the comments or share the link or picture on the TidyMom Facebook page! Oooh Cheryl, these cookies look fantastic! I love anything that has Nutella in them! thanks for hosting!! Those cookies sound GREAT!! Thanks for the party! Have a super weekend! WOW!! They sure look yummy Cheryl!! I like to eat Nutella straight from the jar, but I think the next jar needs to be in cookies because these look awesome!!! Thank you for the party!! Thank you so much for hosting another awesome party, Cheryl! i guess you & i have nutella on the brain!!! your cookies sandwiches sound amazing! thanks so much for the party – those cookies look to. die. for. I’m all linked up, thanks for hosting! Your cookies sound DIVINE! Fab photos!!! Yeah, you’re right! That’s one lovely cookie! You had me at the word nutella. I love nutella on just about anything but cookies are the best. Thanks so much for hosting your lovely party! Happy Friday. You had me at Nutella! These look incredible! Oh my goodness, those look SO GOOD! A sure diet breaker! Hi Cheryl, thank You for hosting this party. It’s my first time at your blog and party! Everything is fantastic. I got a question for you..I read your article about food photography and I’m interested in purchasing the PDF but I don’t know how far behind am I in the installments, also is it 5 dollars for each issue of the series and in your opinion will the tips work with a point and shoot camera (that’s all I have) I just started blogging and right now I can’t afford a professional camera, but still will like to take nice pictures. I’ll appreciate the feedback! Thanks and have a great weekend. Oh I’m following you now on FB and subscribed. Will be great if you visit my blog if you get a chance a give me your opinion on what you see so far! Thanks! Oh my!! Anything with Nutella is good in my book. YUM-O! Wow. Wow. Wow. I need a batch of these cookies just for myself. I can see why you’re lovin it! Oh I love salted caramel anything! Thank you for the party! Have a great weekend! Thanks for hosting and for the YUMMY cookie recipe (Pinning)!! Excited to be joining in on the link party fun here for the first time today, sharing Tigger Tails & Easy 5 Ingredient Quiche. 🙂 Happy Friday!! Would you believe it? I think I’m the only person left in the world who has never tasted Nutella? I’ve only recently been hearing about it’s exsistance and it’s many uses in recipes. I promise you, I wasn’t born yesterday nor under a rock…lol! I am going to get some this very day and make these cookies. If what you say may happen, I may have to go shopping next week for bigger pants! Thank you, Cheryl! Have a great weekend! I don’t care one iota if my pant size increases. These are going on my must bake list and I have a feeling they will become a favourite. Nutella?? Who can resist!? 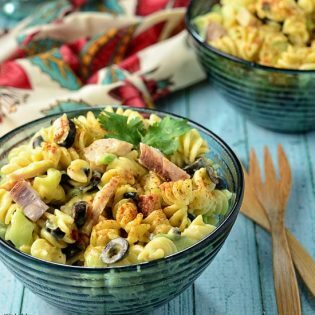 These look amazing – thank you for sharing and hosting! Mmmmmmmm … Nutella! My favorite Nutella recipe is Nutella French Toast with Strawberries & Bananas. It’s delicious! I’ll share the photo with you on your FB page, Cheryl! Thanks for hosting this wonderful party each week. I love the looks of those cookies! Thanks for another I’m Lovin’ It – have a great weekend, Cheryl! Would you believe that I’ve never had Nutella? I know…I need to try it! Thanks for hosting 🙂 Hope you’re having a great weekend! Why yes… I will have a plate of these delicious cookies. Thank you very much! These are awesome. My nutella loving kids will go crazy for them! I LOVE Nutella! My fav way is to put it directly on strawberries. My kids love Nutella spread inside a warm tortilla and filled with strawberries. So yummy. I’m def going to try these cookies!! Looks delicious! 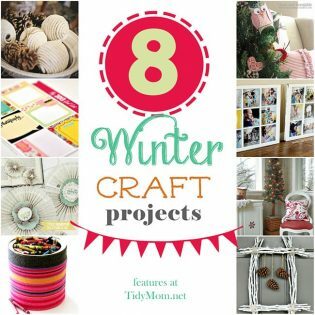 I’d love for you to join the Pinworthy Projects party!